Valentine’s Day gift for my daughter’s teacher. As a teacher myself, I can tell you I have an obsession with Post-It Notes and just about every teacher I know does too. Stacks of Post-Its are strewn all over my desk and in just about every drawer. 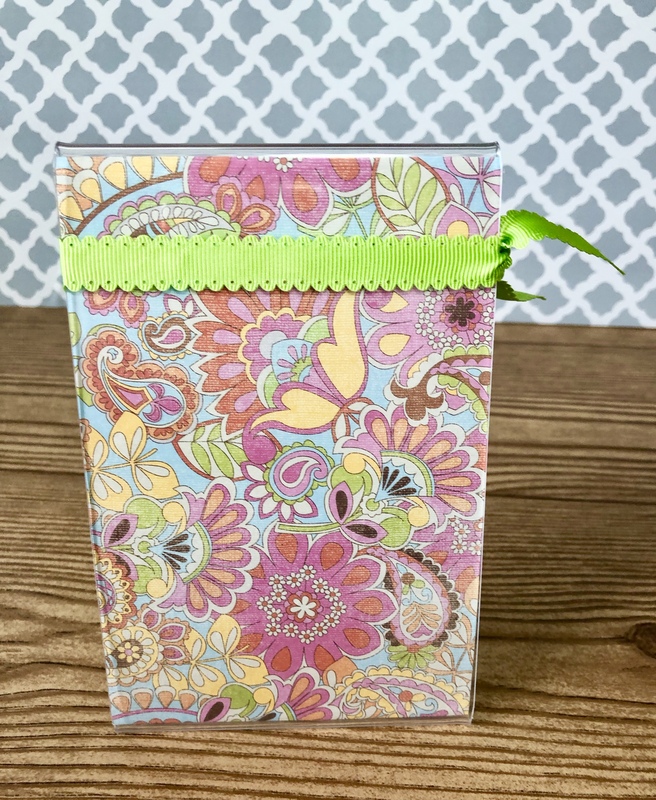 So, this Post-It Note holder is the perfect quick and easy DIY teacher appreciation gift! The best part, this is a thoughtful and inexpensive gift! *Acrylic picture frame-I picked these up at Dollar Tree. They have an assortment of sizes. *Ribbon-Hobby Lobby is a great place to pick some up for 50% off. 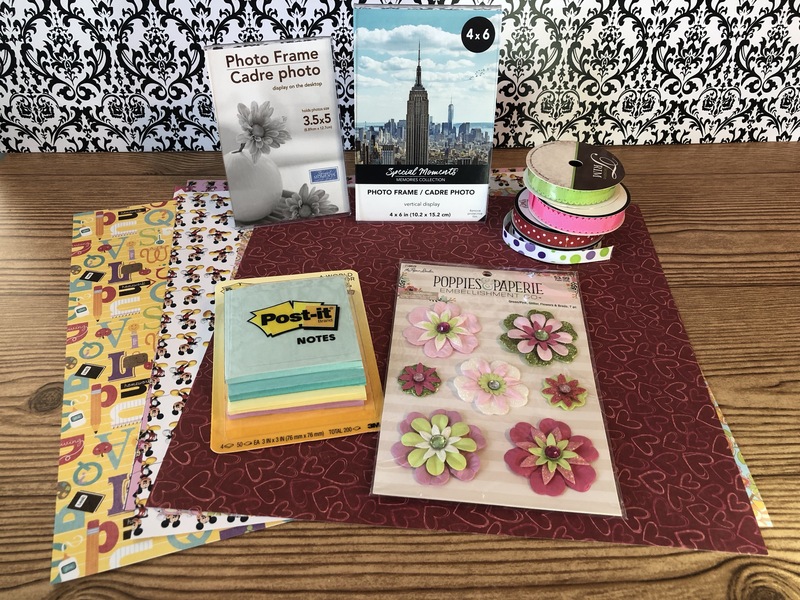 *Paper flower embellishments-I got a pack of 6 for $3.99 at Hobby Lobby. *Post-It Notes-I just grabbed them at Target-but try Amazon for a choice of a lot of colors. 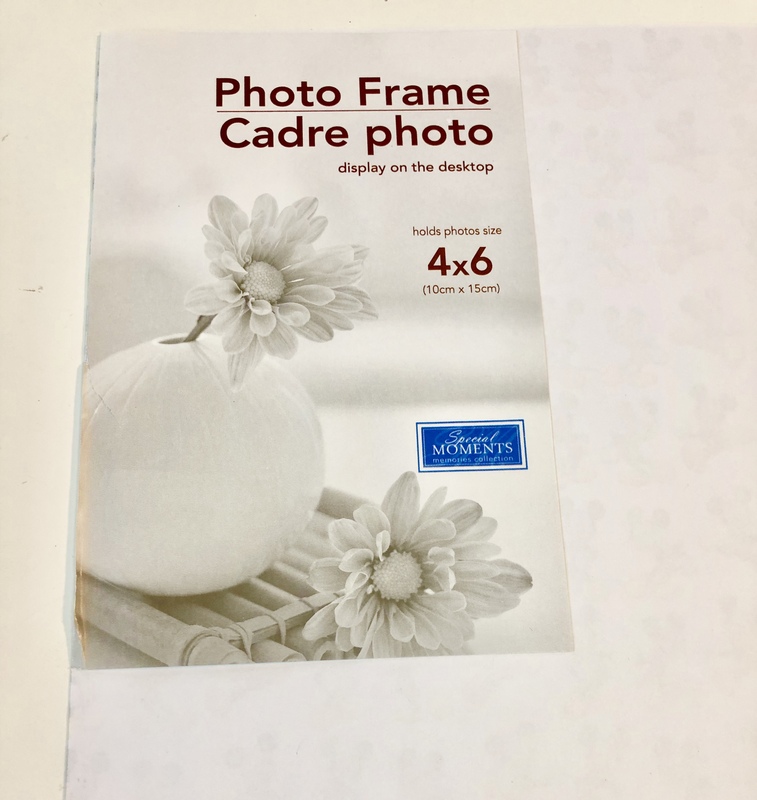 Take the “picture” out of the frame and put it on the back of scrapbook paper and trace around it. 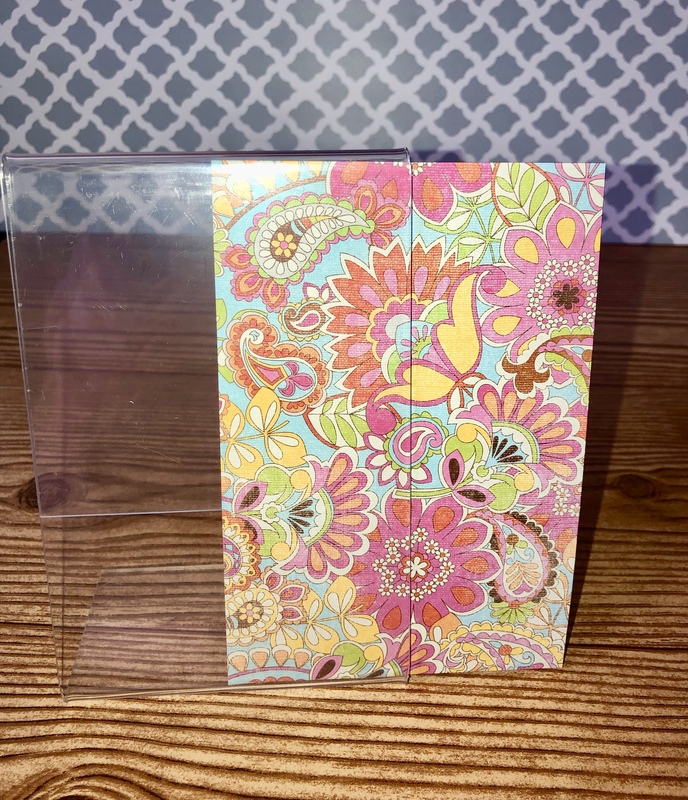 If your using Design space, you can also just insert a rectangle the same demensions you need and have your Cricut cut it out. 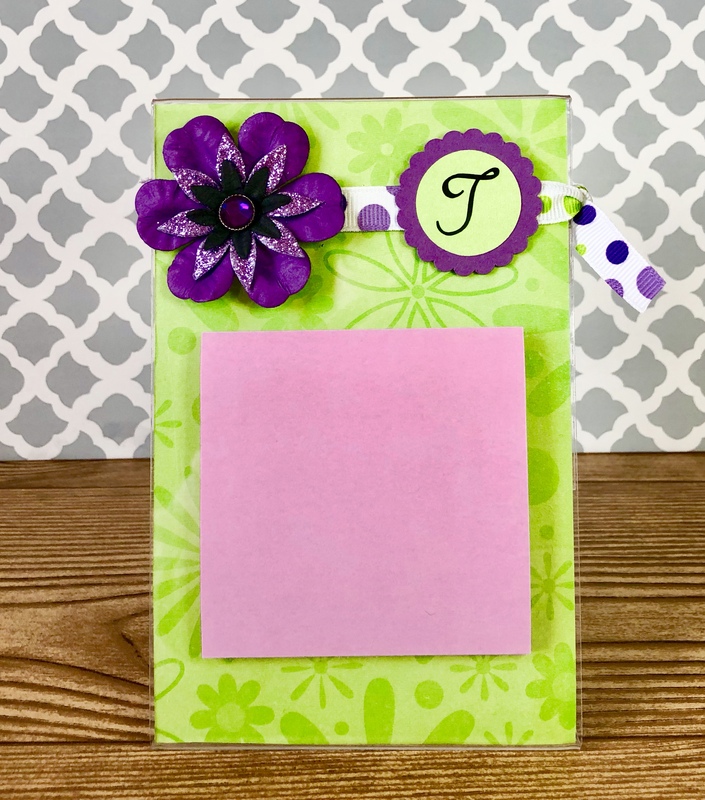 Insert the scrapbook paper into the frame. Cut a length of ribbon to fit around the frame and knot it off to the side. You can secure it in place on the back of the frame with a dot of hot glue. Coordinate your ribbon to your paper. Attach embellishments to the ribbon using hot glue. I used Cricut Design Space and my Cricut to make scalloped circles and the initials are black vinyl. You could use stickers too. I found that Post-It Notes had a tendency to fall off the frames, so I added double stick tape to the back to help them stay. 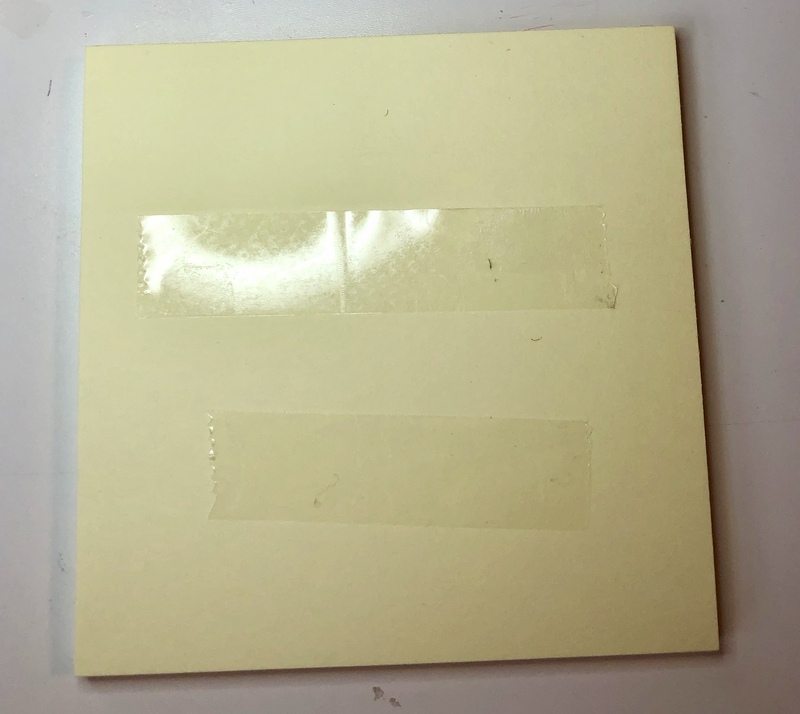 Add a couple of strips of double stick tape. 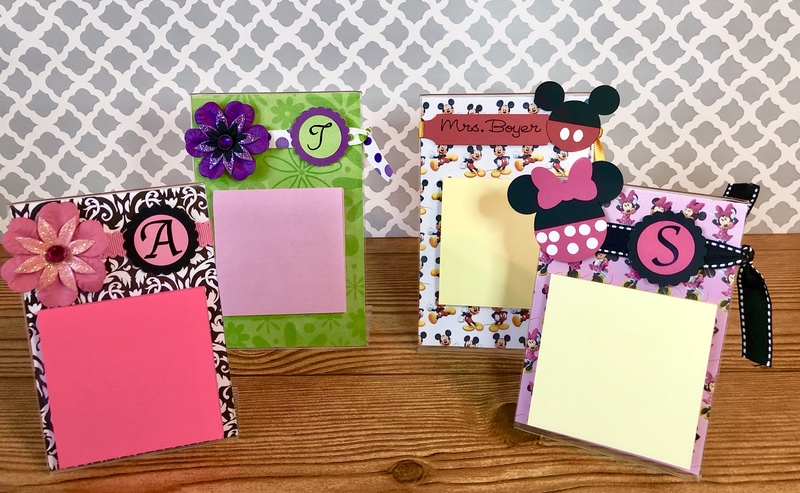 Match your paper and embellishments to your teacher’s room or personality. 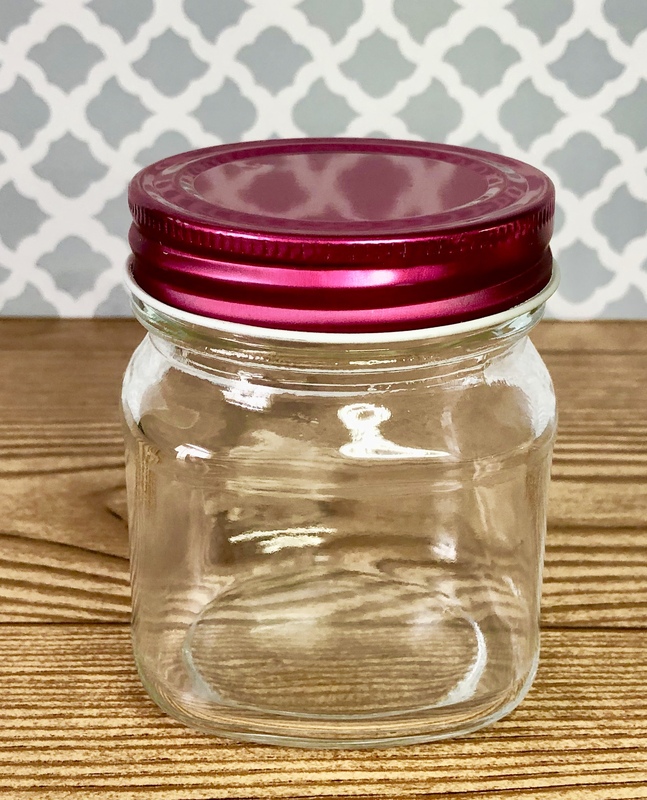 I found these mason jars at Target Dollar Spot three for $3.00. 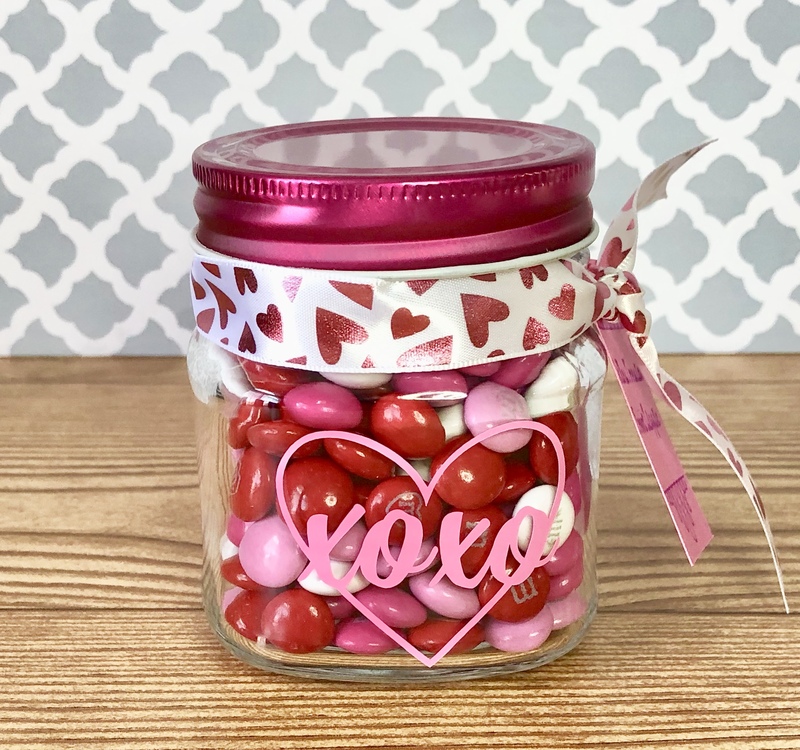 I added a pink vinyl heart and filled it with Valentine’s Day M & Ms.
It’s topped it off with a cute Valentine’s Day ribbon from Dollar Tree. I used a sheet of pink Oracal 651 vinyl I picked up at Michael’s for $2.00. You can grab these sheets in so many different colors which is great because sometimes you don’t want to invest in an entire roll of a certain color. I’m considering investing in this pack from Amazon. Oracal is very durable. I made my daughter a Stitch window decoration out of Oracal vinyl and it’s been on her car in the Southern California sun for four years and still looks great. When all the candy is gone, it’s great storage for push pins or small erasers.